So another trade deadline has passed, but unlike last year, this one doesn’t warrant a trillion-word three act play. The Keith Yandle and Evander Kane trades were, by far, the biggest moves of the deadline and evidence should show that the biggest moves in the NHL are finding a way to be further from deadline day as every year passes. Some will argue it is the lack of potential free agents available and the fact that the 2015 NHL draft class is deep and that is true. However, there are two more things that stand out more than anything and they all relate to how archaic beyond belief the NHL’s collective bargaining agreement it. First, it is the fact that the salary cap has essentially been stuck between $65-$70 million for the last five years. Yes, the Canadian Dollar hasn’t increased in the last five years, but considering how much of a failure some of Gary Bettman’s Southern Ventures have been (hello Carolina Hurricanes, Florida Panthers and Atlanta Thrashers), you would think that a stronger American Dollar would have benefited the NHL revenue stream if those three franchises were much more successful. Lastly, we have to talk about people complaining about No Movement and No Trade Clauses. Outside of Nick Kypreos doing Nick Kypreos things, nothing was more offensive during Sportsnet’s Trade Deadline coverage than Doug MacLean stating how selfish players were for demanding NTCs or NMCs in their contracts. Meanwhile, let’s talk about how the only way a restricted free agent of any quality (like you know, like a certain player from Columbus I have been complaining about since September) will get paid properly is if they are the second coming to Wayne Gretzky. Also, the only way RFAs will ever be moved is via trade before their contract runs out or somewhere between half of a team’s entire draft class or buried treasure will have to sent in return when that player’s contract is up. If that is not straight up Curt Flood stuff we are dealing with when we look at restricted free agency rules in the NHL, I don’t know what it is. The league is becoming younger every year, so please pay them properly to at least make sense of the world, NHL Owners and General Managers. In the meantime, another team is scratched off in the rankings and it is a shocking upset!!! By the slimmest of margins, Colorado survives and the defenseless Dallas Stars are out. 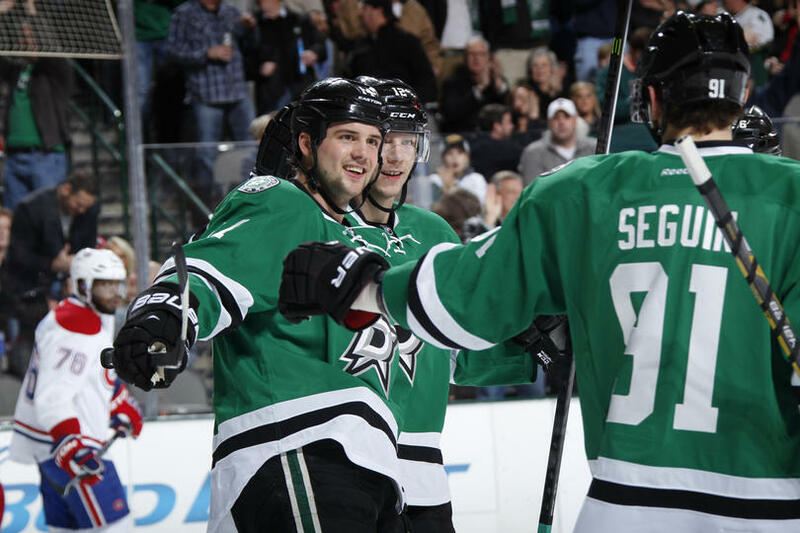 Until next year, we say farewell to the greatest bromance in modern NHL history: Tyler Seguin and Jaime Benn. After you recover from a melted heart like I have done many times, feel free to continue in the latest edition of the Nerdy 30. Ever since the Coyotes traded Devan Dubnyk, their only competent NHL level goaltender, to the Minnesota Wild, they announced to the NHL that they are joining the tanking party. However, they will only come into this summer only having a minimum of 14 draft picks in two years. As great as it is to see Arizona potentially get a high end pick in this summer’s draft, I seriously ask don’t think Arizona is done. If that’s false, how bad of a P.R. move is it for Arizona, a financially horrible franchise since their existence, to not be in the running for Scottsdale-born Austin Matthews in the 2016 draft. Also, it is not enough for a team that is rebuilding to only add two potential stay-at-home defenseman (Philip Samuelsson, Klas Dahlback), a USHLer that is not averaging two points per game at 19 (Maxim Letunov) and Anthony Duclair (his cumulative NHL E is 12 goals and 30 points; slightly down from the 14-16-30 from last season) to their prospect pool at the trade deadline. To keep the tanking process going, look for Mikkel Boedker to be the first on the move. He will be an unrestricted free agent and like his former teammate, Keith Yandle, his doppelganger is a Washington Capital, excepts he plays significantly worse defense from a shot attempts standpoint. For Yandle, it’s Mike Green and for Boedker, it is Marcus Johansson. Can the Coyotes really be that patient waiting on a player that will turn 26 next December? Martin Hanzal is an over 30-year-old player that can get some form of decent value in return for his consistent two-way play and Sam Gagner’s career seems rejuvenated this season, but shouldn’t be in future plans considering he’ll turn 27. Lastly, we need to talk about Shane Doan. He’ll be 39 in October and he still finds ways to average over a point every two games and has been a fantastic captain and loyal employee of the Coyotes franchise. But like Peter Bondra, Markus Naslund and Mats Sundin before him, there comes a point in time where the franchise better wake up and take advantage of any value that is left in him. Otherwise, whether the ownership is stable or not, fans will never come back to jobing.com Arena and the team will stay bad for quite awhile. Has the spark finally gone out for the Calgary Flames? The #fancystats community has been waiting all year to see them falter due to being one of the worst puck possession teams in the league and now it seems to finally happen due to the season-ending torn biceps injury to captain Mark Giordano and the trade sending Curtis Glencross over to Washington. Now they may have gone 3-3-1 since February 14th, but the on-ice shooting percentage for this team has dipped dramatically the last couple of weeks. That being said, the team’s goaltending is still saving above league average and, if anything, the shots on goal for have gone up as much as the shots on goal against. As it has been stated all year, the Pacific Division is awful and all it takes is one Central Division team to be in a rut due to the playing tons of teams within their division for Calgary to pass a Winnipeg or Minnesota. Only time will tell if Hartley Magic finally runs out. To all those that question Boston’s motives at the trade deadline, what do you expect from them? Since the David Krejci extension, they have admitted that they were going all-in, even if the future is mortgaged to a pulp. The Max Talbot and Brett Connolly trades will never make Boston a better team, but it is a sign of how scared management is to see their work of art that gave them two Stanley Cup Finals in four years go up in flames as early as this summer. The Talbot deal was not so bad since they only traded away a failed prospect in Jordan Caron and a future sixth round pick, but the Connolly deal is even more scary. 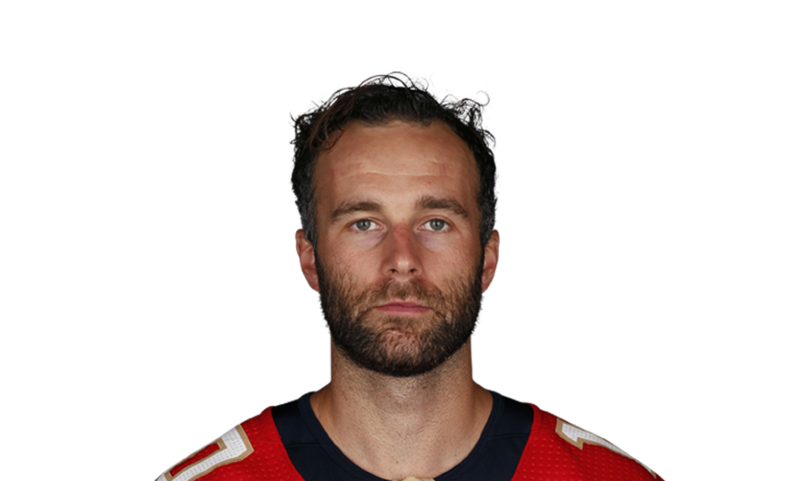 If Jaromir Jagr, a still great puck possession player no matter how old he is, is worth a 2015 second round pick and a 2016 third round pick, why is Brett Connolly, one of the biggest disappointments in his draft class (was projected to get 18 goals and 30 points in 2011 to 14 goals and 27 points in 2015) and owner of one of the most unfortunate hairstyles in 2015, worth higher value than that (a 2015 and 2016 second round pick)? It makes no sense for where Boston is and this only spells doom for a franchise that used to have so much promise. Injuries to Louis Eriksson and David Krejci have not helped and youngsters like David Pastrnak, Malcolm Subban, Ryan Spooner and Seth Griffith will be immensely important for the team’s future, but the Kerjci, Milan Lucic and Patrice Bergeron extensions have proven too expensive and no one from the infamous Tyler Seguin trade have panned out at all. You can’t help but wonder how low this team can go, even if it does make the playoffs. Within the span of two weeks, the Nashville Predators has gone from being the best team in the NHL, analytically, not named Chicago to going 2-5-1 in their last eight games. Their 20-game rolling even strength save percentage has gone from 94.5% from the beginning of the year, to an abysmal 91.1%. Their 20-game rolling shooting percentage hasn’t looked better as it has gone from 10% to 7.2% within the span of a month. This is what happens when teams lead the league in PDO: you don’t want to stay there by season’s end, otherwise your luck will run out come playoff time. However, their score-adjusted shot attempt percentage at even strength was still at a 53% clip, which is what it has been all season. Four of their five regulation losses came against four playoff teams: Minnesota, the Rangers, the Islanders and Detroit. They will not play Chicago or St. Louis the rest of the season and they will mainly have to play teams that need to catch up for a playoff spot or teams within the overrated Pacific Division. Whether or not this effects Nashville’s playoff chances is another matter entirely.